Audiobook, ebooks, Freedom of the Mask, Matthew Corbett Comments Off on Freedom of the Mask release day! 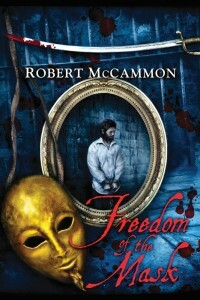 Robert McCammon’s Freedom of the Mask, book six in the Matthew Corbett series, is available now! While Subterranean Press began shipping books a couple of weeks ago, the ebook and audiobook editions are now available. If you purchase the Kindle ebook, you can add the Audible audiobook for only $1.99 more! I hope to have an audiobook giveaway later this week. Stay tuned! Regarding the trade edition from Amazon, it shows as “Temporarily Out of Stock.” I checked in with Bill at Subterranean this morning, and he said that Amazon’s carrier was late picking up their shipments, so Amazon should have the books soon, if they don’t already. In addition to the starred review from Publishers Weekly, two more fantastic, non-spoiler reviews of Freedom of the Mask were posted this week. The audiobook and ebook editions will be released on Tuesday, May 31. Subterranean: Freedom of the Mask is now shipping! Freedom of the Mask, Matthew Corbett Comments Off on Subterranean: Freedom of the Mask is now shipping! Want to read more, including an excerpt from the novel, and an interview with the author? Check out the book’s product page. The Alabama Booksmith has announced that Robert McCammon will sign his new book, Freedom of the Mask, there on Wednesday, June 1, 2016, at 4 PM! Copies of all of his in-print novels, including Freedom of the Mask, will be available for purchase, and attendees are welcome to bring other books for Mr. McCammon to sign. For details, including information about ordering a signed copy, visit the Alabama Booksmith website. The ebook editions of Freedom of the Mask are now available for pre-order. The audiobook edition of Freedom of the Mask can now be pre-ordered! Audiobook, Freedom of the Mask Comments Off on The audiobook edition of Freedom of the Mask can now be pre-ordered! 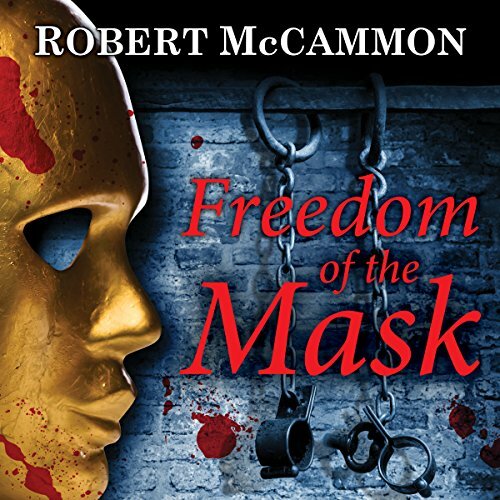 Pre-ordering is now available for the Audible audiobook edition of Freedom of the Mask, book six in Robert McCammon’s Matthew Corbett series. The book is once again narrated by the very talented Edoardo Ballerini. Freedom of the Mask will be published in May by Subterranean Press. As of this writing, all states of the book are still available for pre-order: lettered edition, limited edition, signed trade hardcover, and trade hardcover. Freedom of the Mask will also be available as an ebook in the U.S. The full review can be read on the Publishers Weekly website. Freedom of the Mask will also be available in ebook formats in the U.S.
Audible will release an audiobook edition—again narrated by Edoardo Ballerini—in May, too. Over at the Freedom of the Mask product page, we’ve posted a brand new interview with Robert McCammon, and an excerpt from the novel. GB: Getting such a note-perfect glimpse of 1700s America is one of the highlights of the series, and this new volume stays in fine form despite the move in scenery. Did you have to do a lot of research on England in this period or was it already something you were a buff about? Any surprising tidbits from your research? RM: I had already done a lot of research on London and was saving it up for this book. Also I’ve had the idea of the hidden village in Wales for a long time. Nothing really surprised me about my research except to realize how really crazed, blood-thirsty and wicked that city was during the time period I’m writing about…what there was of the law had its hands full and mostly stayed out of the way. Oh, and I couldn’t really describe the full reality of Newgate Prison because no modern reader would believe it…the prisoners had a bar in there and had their liquor brought in…at the same time prisoners were killing each other over pairs of shoes and the guards were being paid by the inmates…it was crazy! As a reminder, the signed limited edition and lettered edition contain a new bonus 22,000 word novella available nowhere else, as well as color plates by Vincent Chong. Click here to read more or place your order. Freedom of the Mask will be published in May 2016. Ebook and audiobook editions will also be published then. 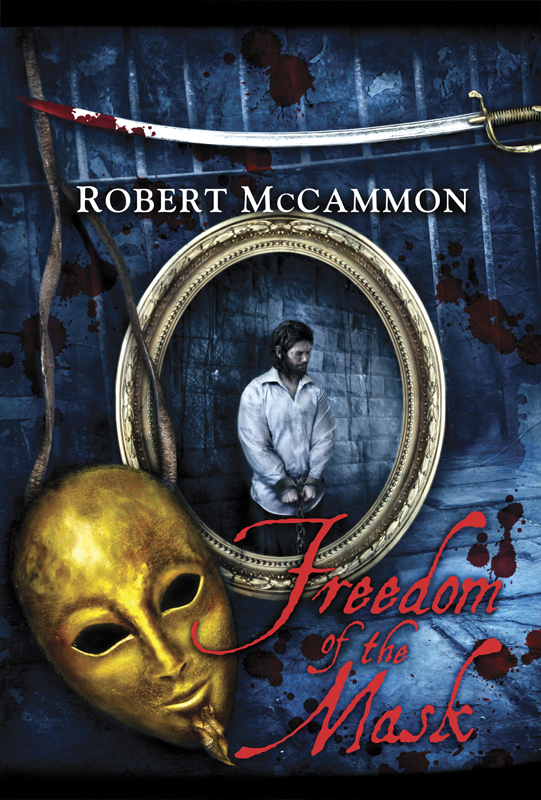 Robert McCammon’s new Matthew Corbett thriller, Freedom of the Mask, has just been sent to the printer, which puts the trade edition right on schedule for a May release. We still have a good supply of all editions available for preorder, though these novels have a history of going out of print quickly after publication. The year is 1703, and Matthew Corbett, professional “problem solver,” is missing. Last seen by his friends in New York before he departed on a lucrative, seemingly straightforward mission for the Herrald Agency in Charles Town, he’s been too long absent. His comrade-in-arms Hudson Greathouse has an increasing sense the young friend he thinks of as a son must have met with some unexpected peril. Following his hunch, Greathouse retraces Matthew’s steps only to find him first presumed dead, then accused of murdering a young woman and apparently en route to London with a devious Prussian count last encountered on Professor Fell’s Pendulum Island. Little does he know that Matthews’s circumstances are growing worse by the second. For when Matthew arrives in the bustling squalor of Londontown, he’s come shackled, charged for the murder of Count Anton Mannerheim Dahlgren. No matter the lack of body, presumed lost to the ocean. 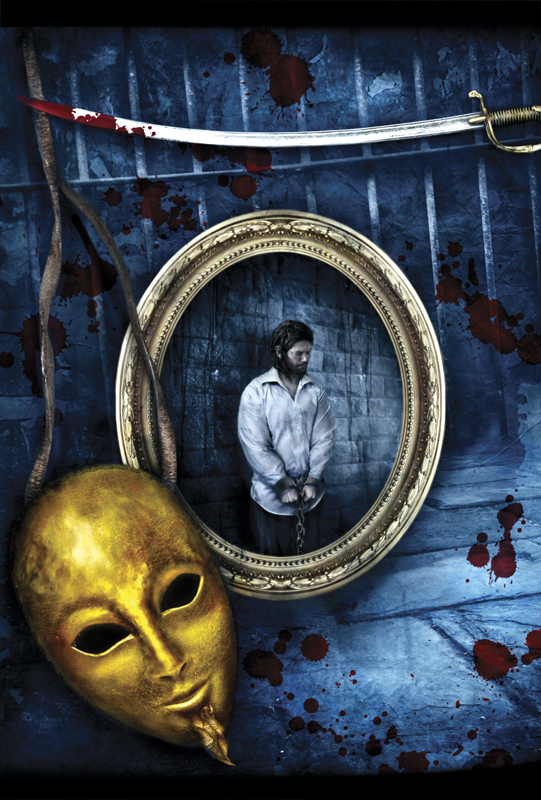 He soon finds himself locked up in the infamous Newgate prison, and has drawn the interest of a mysterious mask-wearing vigilante accused of several gruesome murders. Greathouse and the woman Matthew loves, Berry Grigsby, travel across the high seas to England to aid their friend, but it is impossible to know whether they will reach him in time to save his life. Freedom of the Mask is the sixth installment in bestselling author Robert McCammon’s acclaimed series of standalone historical thrillers featuring the exploits of a young hero the USA Character Approved Blog has called “the Early American James Bond.” The most surprising and ambitious volume to date, this is a novel filled with unpredictable twists and a note-perfect depiction of early 1700s London. Fans will not want to miss Matthew Corbett’s most dangerous adventure yet.